Our Dover, NH orthodontic office keeps up with cutting-edge technologies in order to offer the right orthodontic treatment option for you and your family. Whether you are an adult needing braces yourself or are interested in braces for your child Nyberg Orthodontics offers plenty of braces options to ensure a treatment that not only gives you a healthier smile but a treatment option that fits your needs and lifestyle. Nowadays there are many options for adult braces and braces for children. 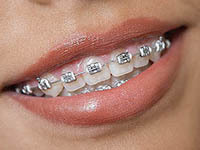 Metal braces are one of the most common methods for correcting the alignment of the teeth, particularly for children. Today, metal braces are flatter, smaller, and more comfortable than in the past, giving our patients a more comfortable and discreet orthodontic treatment. For adults looking for an unobtrusive way to improve their smile, we offer several invisible braces options, including Invisalign. Braces work by applying constant yet gentle pressure to the teeth. Your orthodontist may need to tighten the archwire at each appointment. This guides your teeth to their proper positions in your smile, helping to optimize your oral function and appearance. Because of the added pressure, you may experience some discomfort when your braces are first put on or after adjustment appointments. The teeth may also feel slightly loose; this is temporary and will go away when the teeth have finished moving. Braces are a great choice for patients of all ages, and they can be used to correct a wide variety of orthodontic problems. Whether your teeth are gapped, crowded, or crooked, braces can be used to improve your smile’s alignment. 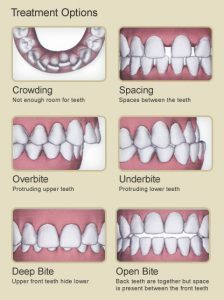 Braces are also effective for correcting issues with the jaw alignment, such as overbite, underbite, open bite, or crossbite. Dr. Lynnette Nyberg will help you determine whether braces in Dover, New Hampshire, are the right choice for your smile. 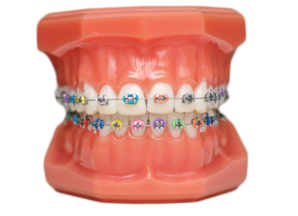 Braces are a great choice for patients of all ages, and they can be used to correct a wide variety of orthodontic problems. Whether your teeth are gapped, crowded, or crooked, braces can be used to improve your smile’s alignment. Braces are also effective for correcting issues with the jaw alignment, such as overbite, underbite, open bite, or crossbite. To learn more and to schedule your complimentary consultation at Nyberg Orthodontics, we welcome you to call us at 603.749.2900 or visit us today.